Will radios work at a particular site? 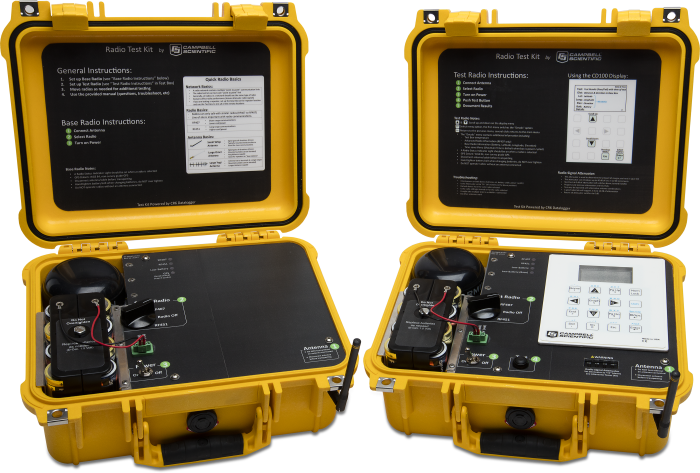 The 21107 Radio Test Kit Rental includes both the RF407 (0.25 W) and the RF451 (1 W) 900 MHz spread-spectrum radios, allowing the testing of both options to determine the best radio for a site. The kit also includes a combination of antennas and mounting equipment, providing the tools needed to quickly test and design a reliable radio network. With the Radio Test Kit, anyone can perform an effective radio survey without prior radio experience. 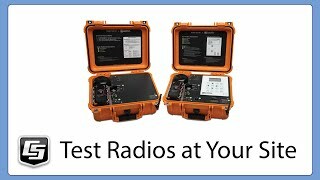 To schedule usage of the 21107 Radio Test Kit Rental, download and submit the Radio Test Kit Usage Agreement form. (Submittal instructions are on the form.) A credit card is required for the security deposit.